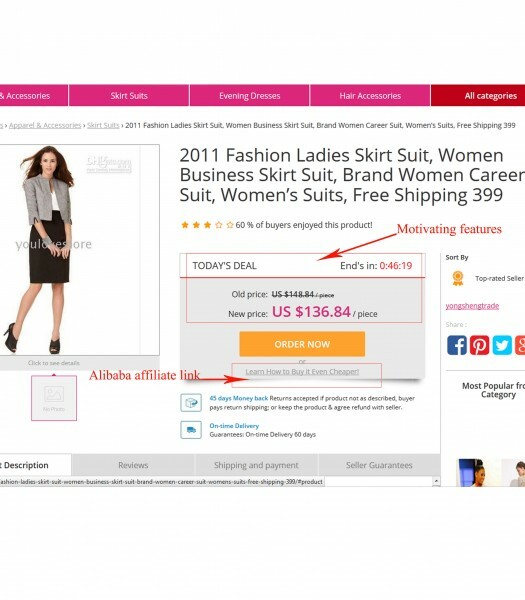 How to use Today's Deal and Alibaba affiliate link? Home Knowledge base Archive How to use Today’s Deal and Alibaba affiliate link? 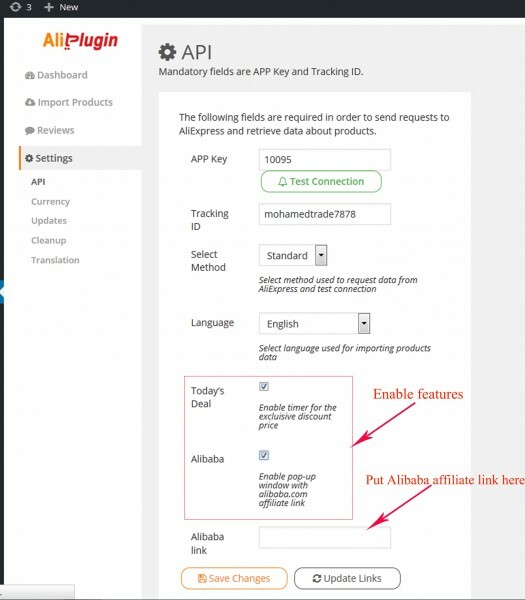 When you open AliPlugin Settings and click API tab you can see two boxes: Today’s Deal and Alibaba. You can enable one or both of them just ticking the box and saving changes. If you enable Alibaba tab, please, don’t forget to insert Alibaba affiliate link in the field below. When the features are anabled a visitor will see new price for the item as “Today’s Deal” and an active timer informing that this is a limited time offer and it ends in an hour or two (the timer shows a countdown). 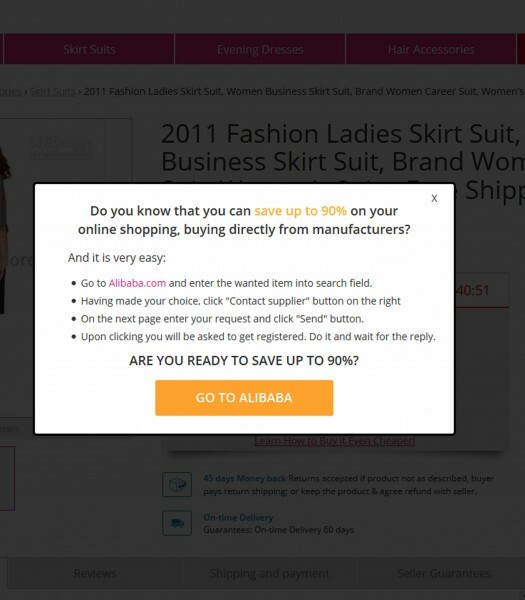 “Learn How to Buy It Even Cheaper” link shows a pop-up with brief and clear instructions on how to find the item on Alibaba.com and buy it at an unbelievably low price. As soon as the visitor contacts a supplier, you get $3.50 in commissions.